2 cities, 2 DC Comics superheroes, 2 styles : welcome to a 3D crossover between the 2 biggest TV show aon The CW:Arrow & The Flash. 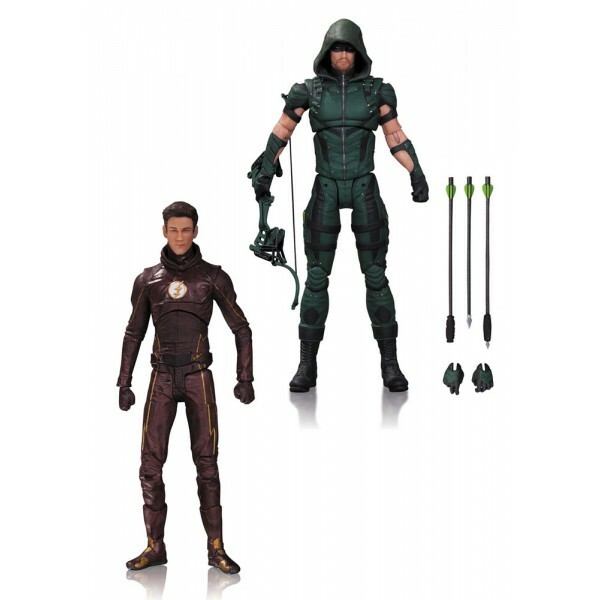 Here are Oliver Queen, alias Arrow, and Barry Allen, aka The Flash, as articulated figures articulées and their many accessories. 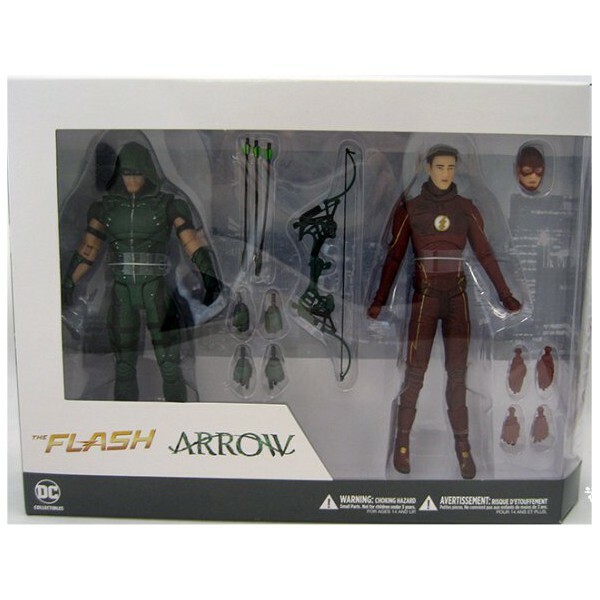 This 17cm-high 2-pack figures Arrow & The Flash are for children from 14 and up. 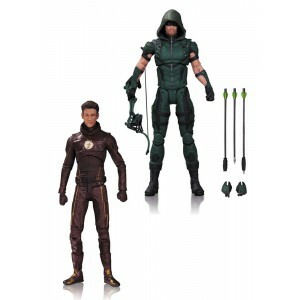 Votre Action Figures 2-Pack Arrow and The Flash 17cm DC TV est en stock !